Delivering projects across Ireland & Europe. We specialise in industrial, commercial and refurbishment roofing and cladding works. We offer a complete service including design, installation and project management. At home or abroad, we’ve the expertise to design and install innovative roofing, cladding and facade solutions. Established in 1993, Crown Roofing is a leading Irish roofing, cladding and facade contractor. We specialise in the design, supply and fit of roofing, cladding and facade systems in Ireland and Europe. With Director led involvement on all projects, we offer innovative roofing solutions and an industry leading service. Our excellent reputation for carrying out quality projects safely, on time and defect free is un-paralled in the industry. Our prestigious and extensive portfolio includes landmark projects in addition to work carried out over live, occupied and sensitive buildings such as pharmaceutical, manufacturing and technology plants. We design, supply & install market leading of roofing, cladding and façade solutions. We have a proven track record of delivering to the highest standards in terms of health & safety and quality on some of the largest and most complex projects in both Ireland and Europe. Our area of expertise encompasses both new build construction and refurbishment. To date, we have completed countless projects in the commercial, residential and healthcare sectors where our scope has included the design and installation of roof finishes, roof completions including fall arrest & fall restraint systems, rooflights, automatic opening vents, green roof systems, architectural facades including rainscreen systems, clay tiles, plank and tray systems, aluminium composite materials, podium waterproofing and roof landscaping. In addition, we have successfully delivered in excess of 250,000m2 of roofing, cladding & façade finishes on mission critical projects in the data centre & pharmaceutical sectors. 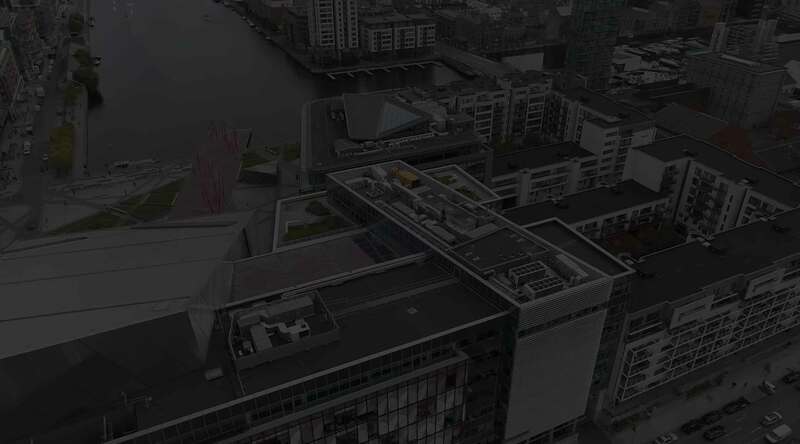 Our design and technical department utilise only the latest technology including Building Information Modelling (BIM) to ensure smooth integration of roofing, cladding & facade systems into the project. We boast an unparalleled level of education amongst our construction and design team. Training and upskilling of our employees is carried out on an ongoing basis to ensure we are fully compliant with current codes and practises and aware of any forthcoming changes. Health & Safety is of paramount importance for our company, and is the number one key performance indicator for all projects. Due to the often-hazardous nature of our works, we have adopted a stringent company policy of in-house Health & Safety training for all of our site based teams. We believe company values must permeate through the company from the top down and therefore all in-house training seminars are Director led.